After a dramatic week in which President Donald Trump pulled the U.S. out of the Iran nuclear deal, and Israel faced off against Iran over its military installations in Iran, polls indicate that Prime Minister Binyamin Netanyahu is the big political winner, at least locally. A poll on Hadashot News Wednesday night showed the Likud led by Netanyahu getting 35 seats in the Knesset if elections were held now. The poll was conducted by the Minna Tzemach organization 24 hours after Trump’s announcement that the U.S. would reimpose sanctions on Iran for cheating on the deal to halt its nuclear program. Netanyahu is largely seen as an important catalyst in that decision, and Israelis from the right, center and even the left have praised him for refusing to back down on the Iran issue over the years, despite the pressure on him at home and abroad to do so. Netanyahu found new supporters among likely voters of Jewish Home, as well as Yesh Atid. In the poll, the party led by Yair Lapid showed a significant weakening compared to recent polls; if elections were held now, the party would get 18 seats in the Knesset, compared to the 20 to 24 Lapid had been polling at. Zionist Camp would get 14 seats, consistent with recent polls, but Jewish Home sank to eight seats, compared to the 10 to 14 the party had been polling at. Following Jewish Home is United Torah Judaism with seven seats. Kulanu comes in with six seats, and Meretz with five. 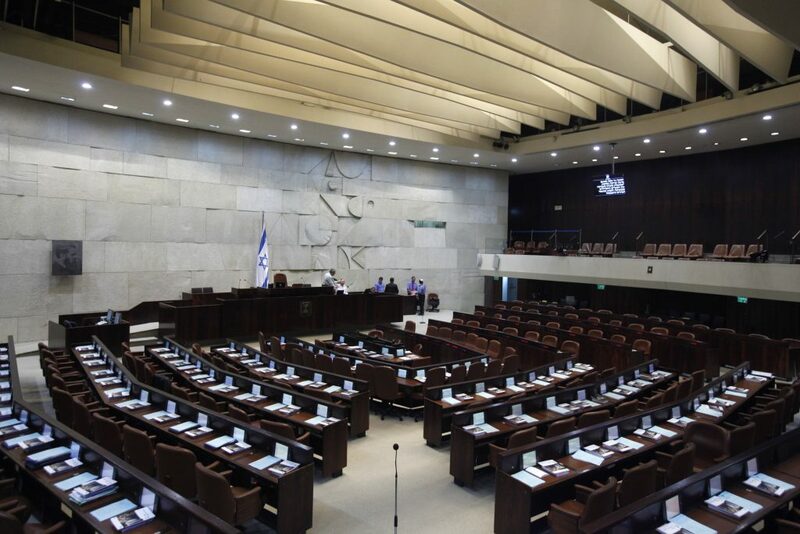 Also losing seats is a party led by former Yisrael Beytenu member Orly Levy-Abukasis, who according to Wednesday’s poll would get five seats, instead of the eight she had been polling at. Commentators said that the losses to Yesh Atid, Jewish Home and Abukasis were the voters who chose parties primarily based on security issues – and Netanyahu’s ability to lead on those issues, as evidenced by his actions last week in unveiling the Iranian nuclear archives and confronting Iran over its presence in Syria, has brought him more support than ever.